Degradation of the natural resource base has led to decline in crop yields or stagnation that caused food shortages at varying degrees among mountain families. Rice, the major staple food in Asia, is suffering from lack of suitable cultivar and N fertilizer management, when grown near mountainous slopes under rain-fed agro-ecosystem. 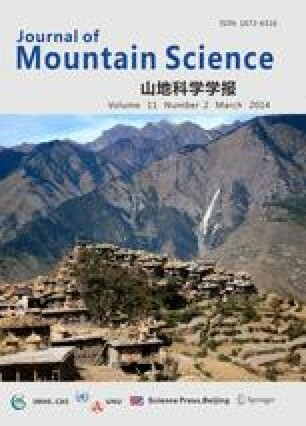 An investigation through a field experiment and simulation study was conducted at United Nations University, Tokyo to select suitable rice cultivars and N fertilizer level for the rice grown near mountainous slopes in Orissa, India. The field experiment was conducted during wet season (June to November) of 2001 at Kasiadihi village of Dhenkanal district, Orissa, India with eight popular rice cultivars of medium (120–130 d) and long duration (135–150 d) group and four N levels (0, 40, 80 and 120 kg·ha−1). Highest grain yield of 5,680 kg·ha−1 was obtained from cultivar Ranjit of long duration group followed by 4,730 kg·ha−1 from cultivar Mahamaya of medium duration group, across N levels. CERES-Rice model was used to simulated grain yield of these two selected cultivars using historical weather data of the past 18 years (1983–2000). Long duration cultivar Ranjit registered higher yield with lower stability as compared medium duration cultivar Mahamaya over the past 18 years. An optimum N fertilizer level of 80 kg·ha−1 was recommended for rice grown under rain-fed ecosystem near mountainous slopes in Orissa, India to attain optimum yield potential of cultivar.